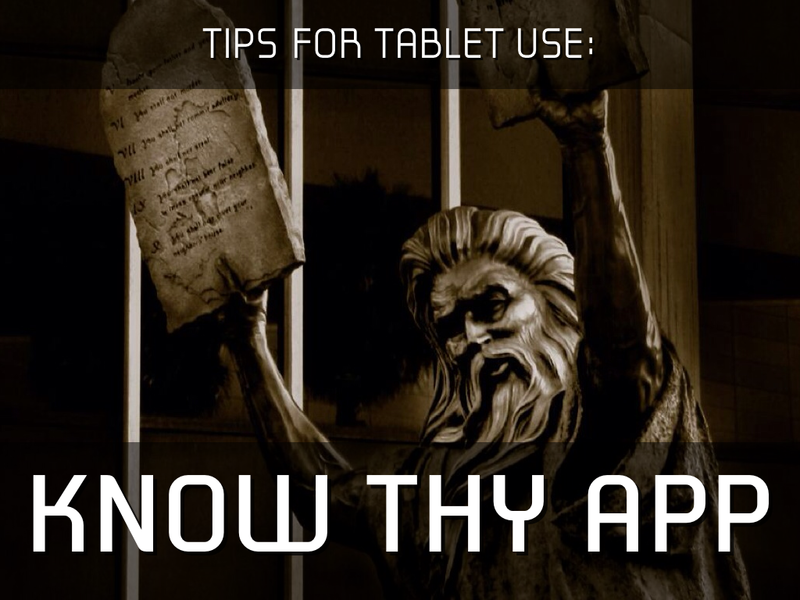 It’s a very simple concept really, and what it says is this: if you are using apps and tablets in any sort of library programming or educational aspect, spend a good amount of time with the app before you unleash it in practice. This seems like pretty straight forward “Yeah Duh!” advice. I think most all of us wouldn’t jump in to a digital storytime session with a new app without first test driving it. But something that may not be obvious is test driving an app you have used once before, but since the first time you used it, the app has been updated to a new version; or the operating system of the tablet itself has been updated. And even if it is a new app and you are evaluating it for the first time, are you pushing all the buttons? Are you changing settings and playing with it in all it’s various ways? Are you putting it up on the big screen for a practice run to see how it looks and sounds without anyone else in the room? And maybe most important, do you know your app well enough so that you could operate it with your eyes closed? Meaning, can you run an app without having to think about it so that you can give your full energy and attention to the many beaming faces of the children you will reach? Posted on January 23, 2014, in Apps and tagged Stephen Tafoya. Bookmark the permalink. 1 Comment. Great advice! I am preparing for an outreach to our Family Resource Center with 8 androids…and it is practice, play, practice. Crazy good stuff but I do need to know it inside out and upside down. Thanks for the reminder.